On your site, you have done all that is necessary to boost your ranking. From keyword research, thousands of blog posts, and even content sharing; you have covered it all. But despite all of this, if your competitor has captured the featured snippet for the same search queries you’re already targeting then there’s traffic left on the table. By stealing featured snippets, you can boost web traffic, increase visibility and earn the credibility you are entitled to. So, why not steal your competitor’s featured snippets and a bit more traffic for the same keywords? To figure out how to do this keep reading. First up, what is a Featured Snippet? It is basically when Google shows an answer, or a partial answer to your search query directly in the search results. It is featured block of information that also shows up on the first page of Google. You’ve probably seen examples of this whenever you search for something on Google. It may contain a summary of the content on the featured web page associated to the search query, and other details. Google pulls information in the featured snippet from one of the organic listings and this gives searchers a fast answer to their query without needing them to click into the search result link. Featured snippets essentially steal traffic away from other organic search links, including the first result that Google deems as most relevant. Huge results can be attainable when you have captured them since they appear before the first placement. Additionally, with featured snippets, your content takes up bigger space of the search results page as compared to regular organic results, meaning your content will truly take centre stage. With your link as main attraction, majority of the clicks will go to you and not your competitors. To land a featured one, your content has to be formatted accurately. Research on what content is ranking on page one is also important to helping you gauge the snippet you need to rank higher. List snippets are taken from pages that include items or steps to a process like for example, a cooking recipe or a DIY product. There can be two types of list snippets — bulleted or numbered. A bulleted lists appear when there are items to include like ingredients, and numbered lists appear when there is a particular order required. This type of snippet provides a clear step-by-step process and searchers can click through the link for additional photos or details. Featured snippets with queries that require pricing or comparisons between many types of products can be shown through rows and columns. This type of snippet occurs when Google pulls information from a library of organic answers and displays them through a table that provides an overview. Table featured snippets can be used for lists, pricing, rates and data, just to give a few examples. When searchers look for specific songs or videos, a video player can appear in a featured snippet in answer to their query. As long as the answer is contained in a video, this type can be used. The video is occasionally pulled from Youtube and is accompanied by a paragraph snippet with a description of the video used. How Do I Start Stealing Featured Snippets? SEMrush is able to reveal valuable information on site analytics. 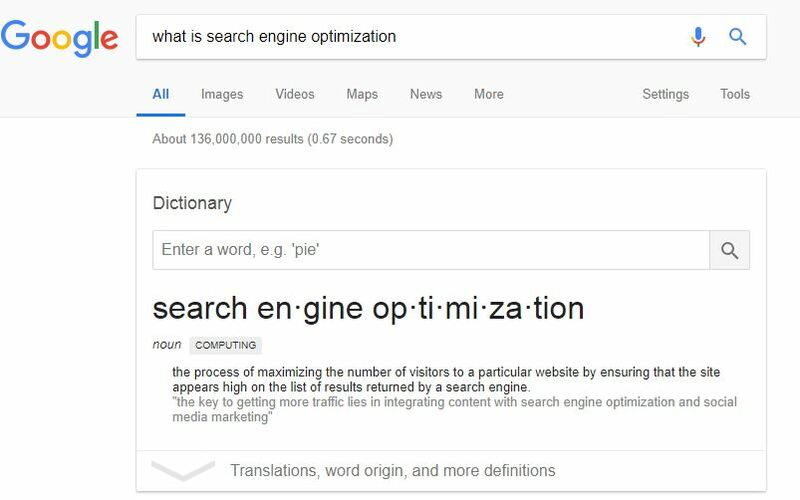 Just start by entering your site URL into SEMrush’s homepage and complete an organic search, this allows you to find out if you are already owning any featured snippets that Google decided to pick out. To check on your competitors’ featured snippets, just enter their site URL into SEMrush’s homepage, click on ‘Start now’, ‘Positions’, and then ‘Organic Research’. Look for the button that says ‘Featured Snippets’ and click on it to review the content that your competitor has been using to attain it. After uncovering the words that your competitors are using, you can then start working on your site content and skew them towards the same organic terms. Besides using certain tools to find relevant featured snippets and the accompanying content, put yourself in the shoes of your audience and create a list of words or information that may be most relevant to their search query. For example, a search query may be “why do cows eat grass”, then do a search for this particular question and find out who owns the featured snippet and what content is used. However, make sure that whatever content you intend to use for your featured snippet, has to be highly relevant and must answer the search query of the user. Google has a certain way of identifying your content. Format your page with HTML so that Google can understand your content better. This means <h2> for sub titles and <h3> for sub pointers. This way, you will be making it easier to rank for the featured snippet since you are making it easy for Google to understand the content. With all basics covered on the tips and tricks of earning your own featured snippet, now, you need to learn to gain an edge over the competition. Once you are aware of the featured snippets that you are intending to steal, take their content and restructure it to make it more relevant and accurate. Add high resolution images that your competitor are not using, be it for main points or sub points, just add as many photos as you can. Do research on key words and pepper your content with as many related synonyms as you can without keyword stuffing. Google will actually bold synonyms in the snippet, almost telling you to add them! With all this in mind, you are now good to go, and soon enough, your site will rank and you can have as many featured snippets as possible. If you need some help with stealing the featured snippet, you can count on our SEO agency to help you out. Click here to contact us today.